They were shipped in a very big box. Same with a previous item i ordered. Box used could fit two of the same item. Nung una $5 lang binibigay pero i insisted. Sabi ko either pickup-in nila ulit yung items or compensate me for the shipping charge. Previously kasi via chat nag apologise lang kesyo to ensure items are safe kaya malaki box. Got the confirmation email na. 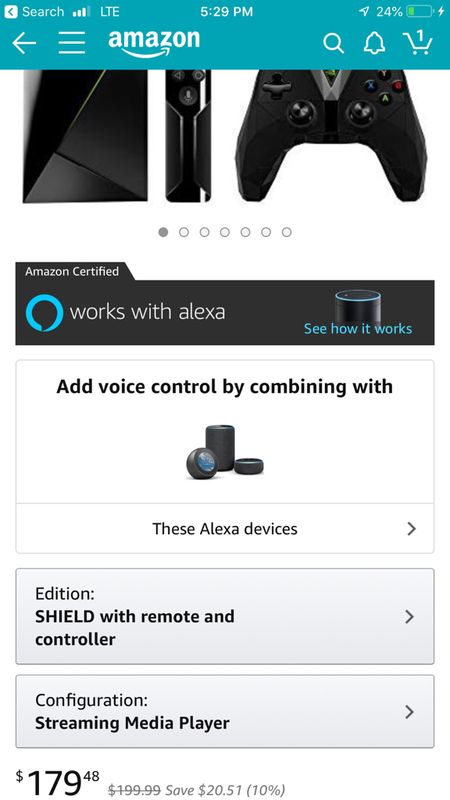 Really happy with Amazon! We've processed a refund for the above order in the amount of $20.06. In most cases, once a refund has been submitted, the issuing bank will post it to your account within 3-5 business days when issued to a credit card. Refunds issued to a bank account or pin-less debit typically take 10 business days to reflect on the account balance. This time frame may vary from one financial institution to another. And i get another $20 pa pala! Nice! 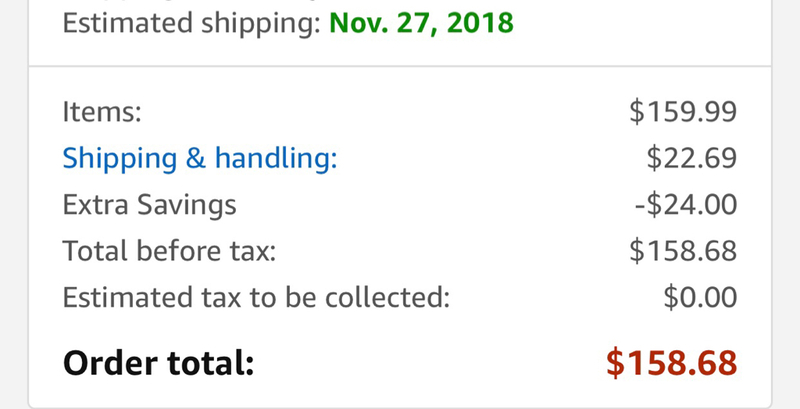 So i have a total of $65 back from Amazon! $45 refund and $20 shop credits! When my trial period was expiring last month and i was discontinuing it, it prompted and gave me another month extension. Thanks guys. Sige will try those options.. So love Amazon! was not happy with one of my purchases and even though its already almost 2 months past since the transaction was completed (had item shipped via My-shopping box), they still refunded me $27! They did not even ask me to provide them the pictures of the item i had a complain about. Kahit yung isa lang ang pinapa-refund ko sa website, automatically nilang ni-refund lahat nung na receive nila na items without any intervention from me so it was as simple as re-ordering the other items without much delay kasi free two day shipping naman since naka Prime trial pa ako. In another case, finollow up ko yung isang order ko na medyo late. Napaka responsive at helpful yung CS chat nila. Walang matagalang at paulit ulit na chat session, resolution kaagad. Much better experience overall kumpara sa Lazada. Sana talaga matuloy yung Amazon SEA branch. 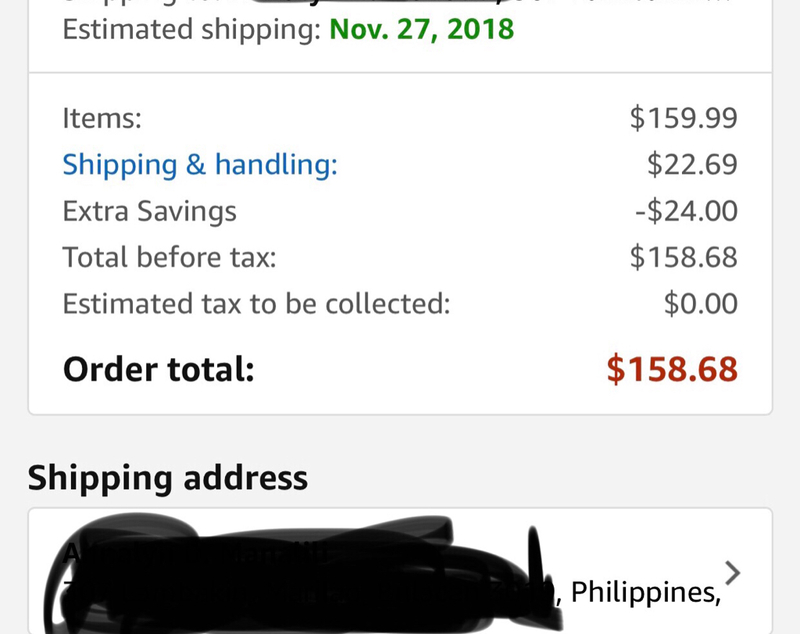 Pag less than 10k ang total ng cart mo sa amazon direct to ph wlaa na tax. does the courier still charge extras for taxes from the amount billed by Amazon if the package is delivered locally? Bro GI Joe, San galing yun $24 discount? Ang bilis makuha ko na sa sabado. If more than 10k in total kasama shipping meron duty fees if less than 10k from total bill no duty fees. Sample na computation pag more than 10k kasama shipping fee sa duty fees computation. Duty fees include import tax. Amazon uses UP courier so yung item direct sa bahay deliver. Kaya naniningil na si amazon ng duty fees pag more than 10k kasi di na dadaan kay post office. Kaya ung mga maliliit na item like blurays eh puwede na direct basta less 10k ang total. Sana nakatulong ang info na ito para less ang gastos sa pagbili natin/shopping. Yes lalo na less than 10k and di bulky pag bluray bluray din lang. 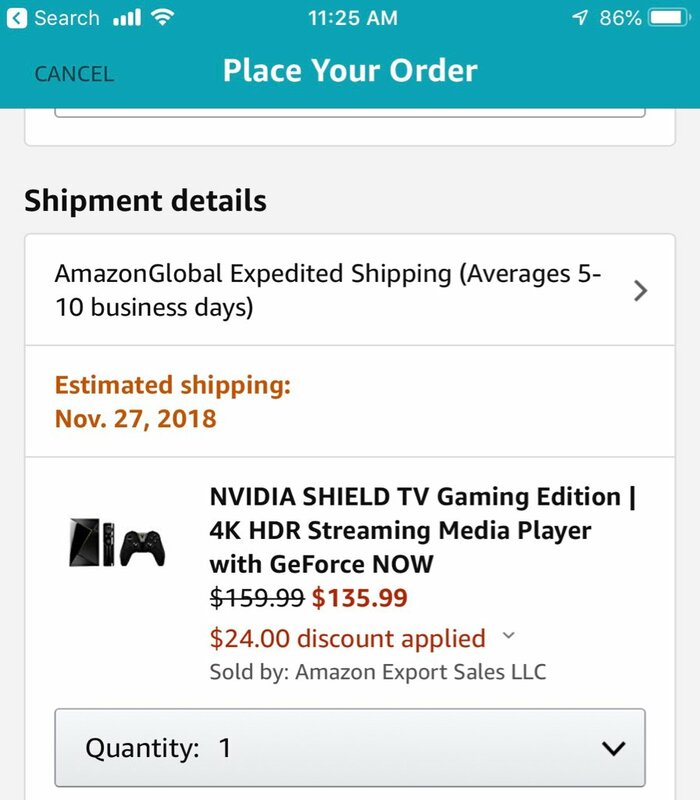 Yung nvidia shield ko with remote and controller 8k+ landed price na. and it actually takes a week at the most ata to get delivered. comparing the possible shipping cost with using a 3rd part shipper na 30-45 days to get delivered, parang 500+ lang difference. pwedeng pwede na! This is the best news i have received this week! I tried direct shipping once with a sub-P10k order a couple of months ago. Okay nga! It only took 4-days from ordering to arriving direct to my door. Minsan kung ifafactor pa natin yung cost at time ng shipping to the US-based cargo forwarder warehouse, plus yung shipping going to the PHL, lumalabas na mas mabilis na yung direct at mas mura pa. Great for small items. That said, pag medyo marami or malalaki na items at yung total value is above P10K, tapos kung free shipping domestic US shipping naman, sa cargo forwarder pa rin ako dumadaan kasi may package consolidation din sila. 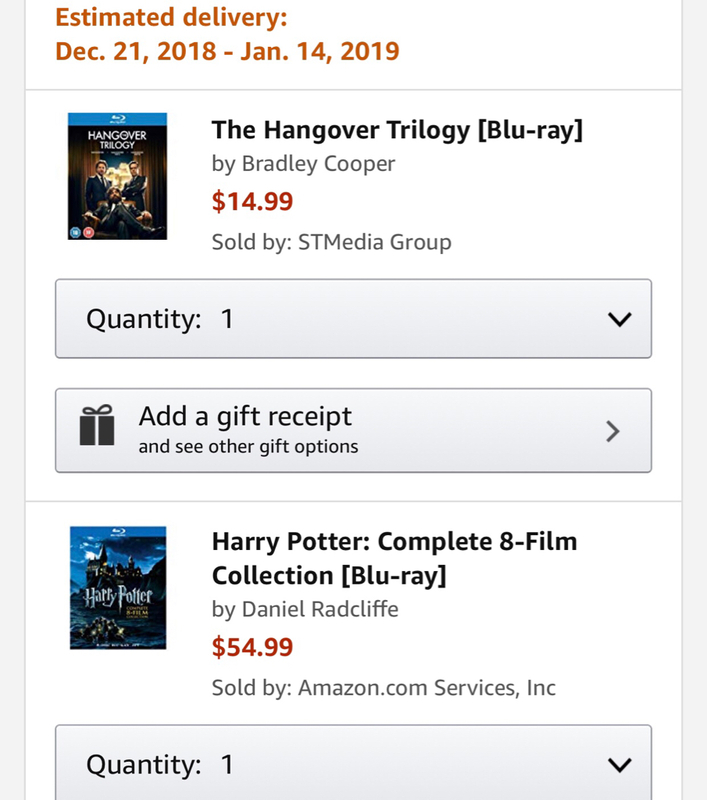 On another note, excited ako haul ko itong nakaraan na Black Friday at Cyber Monday sale, nakalibre na naman ako ng Amazon Prime one-month trial since over $300 ang total order. Got some LPs, SSDs at rock-bottom prices at hard-to-find tech gadgets na wala or overpriced sa Lazada at Shoppee. Nag bigay pa ang Amazon ng additional automatic discounts and coupons na applied on checkout. Nice! Amazon SEA, where are you! Pag bulk and more than 10k talaga need mo na third party. Bilis nung nvidia shield na matapos sale or naubos stock. 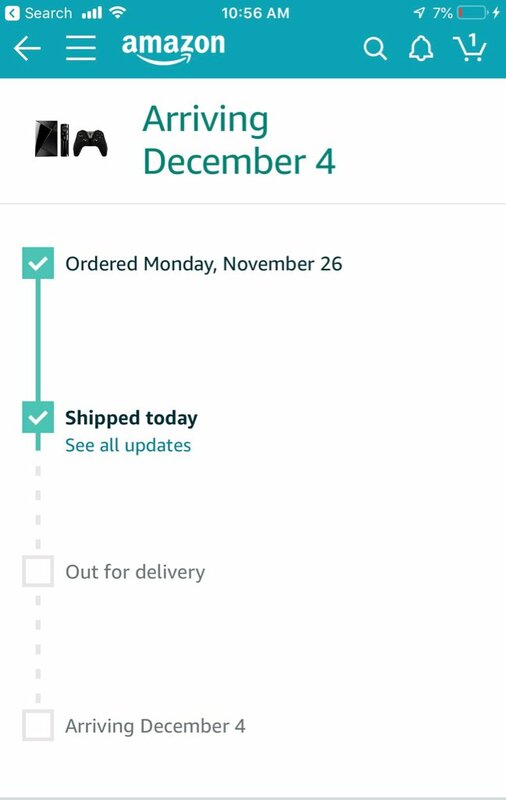 The last time that I ordered from Amazon and had it shipped direct instead of using Johnny Air, it took 5 months to receive my item! Good thing the vendor was kind enough to offer a free replacement, though I eventually was called to the post office after the 5 month period. Just wondering, what shipping company did they use? I tried ordering an RC toy moments ago and I had almost $31 in shipping and tax. Where is the below 10k tax exemption? Is it bcoz am not a Prime member? ^Maybe the exemption is for duties and not for VAT?